Total Composure is the first to offer such a library exclusively for the Kontakt format; making use of Kontakt’s scripting capabilities to greatly enhance the playability, realism, and functionality of these public domain samples. Most of the instruments only contain one set of samples per articulation, and some only have one recorded dynamic layer – this is one of the many limitations we have found with using public domain samples. We have overcome these issues using a variety of physical modeling techniques that enhance the audio material. Using dynamic filters and intelligent repetition scripting we have removed the limitation of single dynamic recordings and solitary sample sets. Although we have put a lot of work into this product it is important to remember that at its core are the samples provided free of charge by a small number of people. Total Composure has gathered these samples from various locations and brought them all to one place where they can be used together. There are over 1500 samples in this library totaling more than 1.5 GB but we have used Kontakt’s lossless compression to crunch the size to less than 500MB. Good set of high quality native effects. 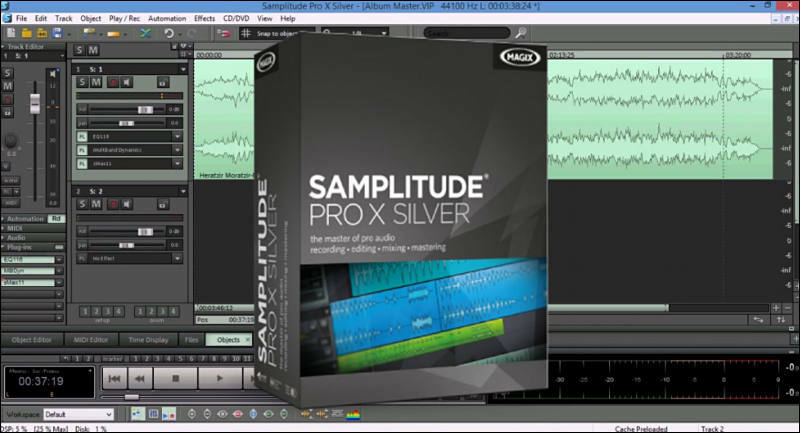 After installation completed, start Magix Samplitude Pro X Silver . A “Welcome” splash dialog will open. Click on the 'Register now for unlimited use' program button to open personal trial extension code registration web page. You will be forwarded to registration page, after logging in or registering, activation code to unlock Magix Samplitude Pro X Silver will be sent to the registered email address. Enter the activation code into the text box that appear on the welcome box after clicking "Continue to use program" button. Then click on Continue. From simple arpeggiators up to complex automated arrangers. USB control from the Korg NanoKontrol Studio, Korg NanoKontrol2, Akai MidiMix, and Novation Launch Control XL USB control surfaces. Other USB control surfaces are not supported. Includes support for fader, trim, pan, low cut, reverb, solo, mute, track arm, monitor, transport control, LR output level, and user-programmable shortcut buttons. Pre-roll: saves up to 10 seconds of audio before the "record" button is pressed. Select up to 10 seconds of pre-roll on the MixPre-10T and 5 seconds of pre-roll on the MixPre-3 & -6. Pre-roll time is reduced at 96 kHz and higher sampling rates. Phase invert option now available for the MixPre-3. Phase invert is already available for all other MixPre models. Ambisonics and binaural recording/monitoring (-6 and -10T Audio projects only). Requires installation of the free Ambisonics Plugin available at the Sound Devices Plugin Store. Bluetooth LE wireless remote control using the Android or iOS Wingman app. Includes 12-track monitoring, mix metering, transport control, time counter, track naming and arming. Support for the new Windows ASIO driver, v2.9.92.1. This enables a MixPre running a Music project to be used as a multichannel USB audio interface with Windows computers. This ASIO driver is required when using the MixPre-3M, -6M, or -10M or when running Music projects in the MixPre-3, -6, or -10T. Meter scale now included on Channel screen meter. Noise that occurred when playing back MixPre-recorded 96 kHz or 192 kHz files at a fraction of their normal speed has been eliminated. The UI no longer occasionally switches to a Channel screen's first page after selecting a linking option. Fader or gain levels now only display at the top of the Home screen when being adjusted. Improved handling of projects without an SD card connected. Rare event where USB audio inputs 3 and 4 were routed directly to the LR tracks has been resolved. Files with both Mix and ISO tracks now consistently import correctly. Imported files now consistently playback at correct speed. Ticking noises that occasionally occurred when playing back imported files containing cue markers have been removed. Sample rate stays consistent between the MixPre and a computer when changing projects without an SD card inserted. LR gain now remains correct after loading a preset with L and R unlinked and set to different gain values. When transitioning between playback and stop, solo'd track remains consistent. All channels of a linked group can be solo'd in the headphone output. Playback meters now display in Audio projects when meters are set to Off. Custom Mode with Gain set to Basic and Headphones set to Advanced now allows deselecting of all sources in the Headphone Preset matrix. Live audio now returns consistently after playback when device is connected via USB to a computer. The maximum number of cue markers in Music projects has been increased to 99. All tracks are now present after importing non-native files into Music projects. Imported non-native content does not disappear after overdubbing. A lockup no longer occurs if the HP encoder is pressed when viewing an empty History list. A lockup that occasionally occurred when switching from a battery source to a low USB power source has been resolved. Linking settings remain correct when switching between Music and Audio projects. Live audio for channels 9 & 10 (on MixPre-10T) and channels 5 & 6 (on MixPre-6) return after playback. Timecode generator reset warning no longer appears when booting up in Music projects. Record Trigger setting is now stored across power cycles. In Stop mode, navigation no longer skips between cue marks (on MixPre-10M or in Music projects on the MixPre-10T). 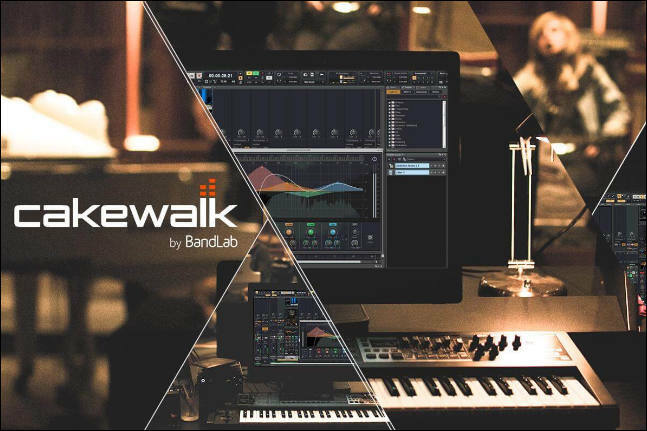 For what it's worth, Bandlab, whatever that is, is relaunching it. Integration with Ableton Live or any other HUI-compatible DAW. Three models - MODX6, MODX7 & MODX8. No analog synths modellers here! Fantastic: Soundforge now available on Mac! I swear by this on the PC. This has been for years my audio editor of choice and its great to be able to have this on OSX - it requires 64 bit OS (Lion and ML compatible only) and its one of the best mastering packages around. Shame there's no CD architect built in but Im sure Sony will furnish us with an update soon. With the loss of Bias Peak, the competition was getting thinner on the ground with only Adobe and Steinberg Wavelab to master audio to. Now with this release we have a decent tried and tested editor via the PC. Excellent! This is no ‘Lite’ version, we do not impose track limits, plugin limitations or other such constraints commonly found in other low cost offerings. Why? – we think you will enjoy using the app so much, you will discover the value in investing in our latest versions and the expanded features we are voraciously adding. Innovation and creativity is what drives us – join the ride today and download T7 for Mac, Windows, or Linux operating systems. We are revisiting the idea of creating royalty free music. This music can be used by anyone from high school teachers to indie film makers. What makes it royalty free? As you may know, copyrights are complicated. For example, you can give away the rights to a performance, but the actual music score may have rights attached to it. You can't record the song of another artist, and then claim you own it. When we looked at this topic about eight years ago, we thought the Magnatune system was the way to go (disclaimer: we release our recordings on Magnatune). On Magnatune, you keep all the rights to your "CD" as we used to call an album, but they distribute it. You get half, they get half. Half is way more than I got from the big labels, and Magnatune is a great label. We still OWN all of our tracks. AS a filmmaker, you could (and still can) license the tracks for really dirt cheap, and, again, the creator got a dollar or so, depending. We figured, no one is going to balk at a few dollars for a sound track that would cost thousands to produce. We figured wrong. People did use the license feature, but not in the waves that we expected. Well, as it turns out, people have this "must be free" attitude, which in a way is a driving force of the internet--no one wanted to pay the artists, even though they themselves are artists. So rather than rant about how ridiculous this is, we are starting a different model, and we can see that others are doing the same thing. Once it is done, ppl can use the soundtrack. It may not be what you are looking for, but it will be free :) You'll notice that the music is old, like really old. That way, it is solidly in the public domain. Composers of course can create new scores and using for example Creative Commons we can record newer music as well. We have some new music projects in the works right now. The RØDE contest is making me consider splurging out & buying a better micophone (currently I just use the cheapie thirty buck ones off eBay direct from China), specifically a RØDE microphone.